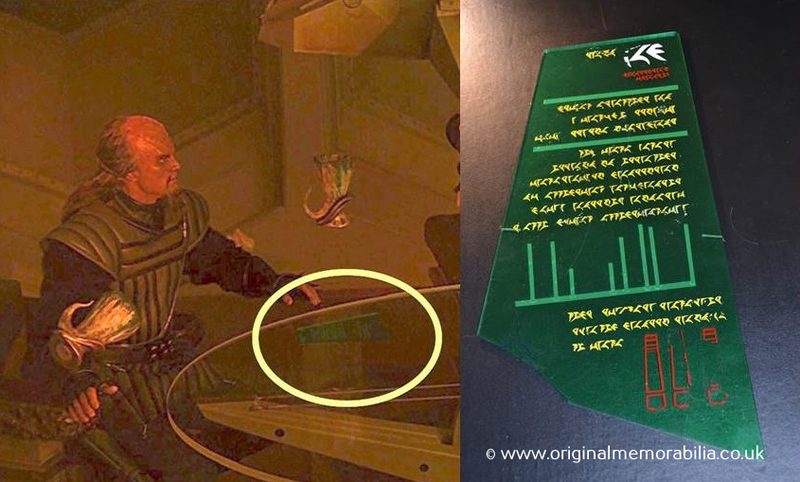 This production-made piece was created for use in the key assassination scene, with versions seen both on the table and floating in zero-G in front of Chancellor Gorkon. The floating version seem to have holes however the piece on the table is quite possibly this very piece. 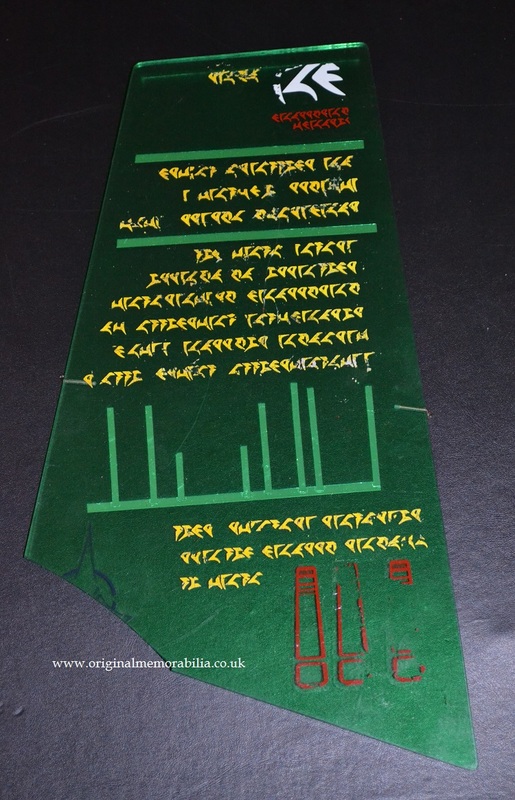 Cut into an angular "Klingon-esque" shape. Approximate size 11" x 5.75" with two metal pins to both sides. The piece has suffered some damage with the lower left corner missing and some wear to the lettering and graphics. 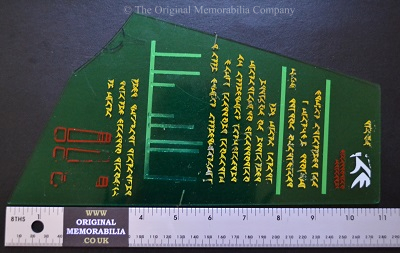 1) This Klingon Graphic Panel and all the items in this collection were originally obtained from a named Star Trek prop master with written provenance held on our files. Full details will be included in your certificate of authenticity.